The spots you love to love are back again. It’s that time of year again, and along with the Spurs season opener, that means it’s time for the first batch of new HEB product commercials. Of course, they’re missing a few familiar and well-loved faces, but I think you’ll find that the sting is lessened a bit with the return of that lovable rascal Patty Mills, as well as a surprisingly pro performance by Rudy Gay, and of course the HEB debut of new San Antonio star, DeMar DeRozan! In any case, it’s great to see our Spurs doing their thing despite all of the off-season hubbub. 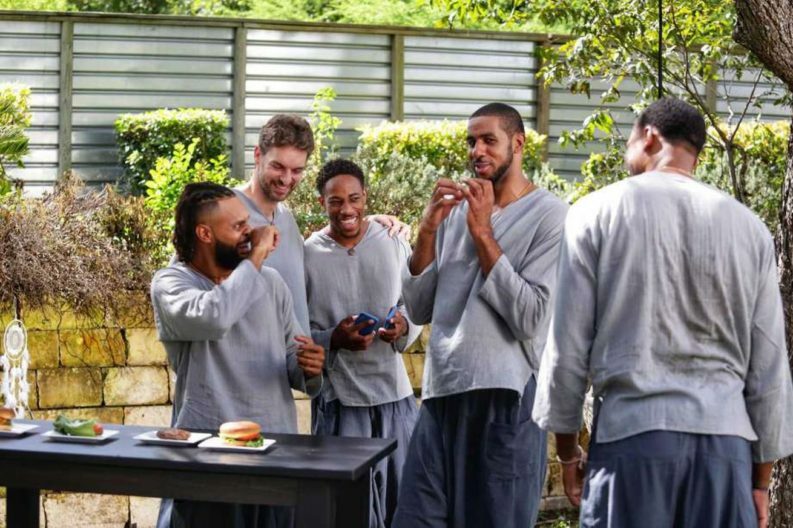 I’ve always felt like these commercials were an indication of how close San Antonio players are as teammates, and if this batch is any indication of how the newer players are adapting, I’d say it’s clear that the Spurs internal climate hasn’t changed anywhere near as much as outside sources have previously insinuated. Here’s to a new season full of adventure and surprises, and hopefully more of the commercials we’ve all come to love!